Editor’s Note: This post is part of a new series highlighting cause marketing campaigns from around the world called ‘Global Voices’ and brought to you by Your Public Interest Registry. We hope our team of international contributors will shed insights into cause marketing in their home country and inspire you to expand your own purpose-driven horizons. The Loeries is Africa’s most prestigious brand communication awards programme, and in 2010 the Ubuntu Award for sustainable marketing was launched. The philosophy of “Ubuntu” is humanity towards others. But an important element was explained by Nelson Mandela, “Ubuntu does not mean that people should not enrich themselves. The question therefore is: Are you going to do so in order to enable the community around you to be able to improve?” And this is the crux of the Ubuntu award – to showcase brands that improve the lives of their community as part of their business, not as an afterthought or charity. While charity is beneficial and there will always be many worthy recipients, a corporation can easily divest from a charity without it affecting its core business. However, if a business is adding value with its core offering then the two cannot be separated – the business is benefiting the community as it goes about its day-to-day operations. Truly sustainable brands need to be adding value with their products, and truly sustainable programmes need to add value to the business as well as the community. Simply put, the Ubuntu award does not recognise charities. The award recognises brands that are inculcating environmentally sustainable operations and positive social impact in their core values, while adding value to the bottom line. Brands that make good neighbours – that not only improve lives through their products or services but ensure that they minimise their environmental footprint and contribute positively to the community. Doing good while doing good business. The primary aim of the Loeries is to showcase the value that creativity adds, and the Ubuntu Award is no different. Entries have to demonstrate innovation in the programme – it’s not good enough to implement something that has been tried and tested – we need to see how creative solutions can add value to people’s lives. 1 – Transformation: The focus is on enhancing local sourcing, Black Economic Empowerment, skills development and equity ownership, and driving the company’s policy of “South Africa first”. 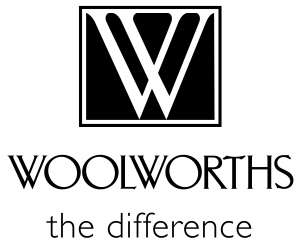 2 – Social development: Woolworths aimed to increase social contributions to more than R300m (around $30m) by 2012. Woolworths Trust equips people with the knowledge and expertise to continue to make a difference in their communities. For example, Woolworths partners with the MySchool programme – offering direct funding to the consumer’s choice of schools every time a purchase is made. This makes the consumer part of the programme and gives them individual choice where and how their contribution is directed. Also, the Woolworths Making the Difference Educational Programme is one of the key ways the company supports upliftment of education in South African schools. Working closely with the Department of Education, schools and education specialists, Woolworths shares expertise through the development and production of inspiring educator resources, and by offering teachers, learners and parents a range of experiential learning activities. 3 – Environment: Sustainability farming, conservation and a new approach to packaging are the key areas of focus. For example: The ‘Farming for the Future’ initiative is geared to radically improve soil and plant health, preserve resources like water and soil and protect biodiversity. 4 – Climate change: Woolworths is working to reduce its relative carbon footprint by 30% – through energy efficiencies and reducing product miles. Woolworths also works closely with suppliers and customers, mobilising them to understand their own carbon footprints and making it simpler for them to reduce their footprints. Importantly, Woolworths inculcates the Good Business Journey into its communications with its consumers. Right down to the wallpaper in a Woolworths store, the message of Woolworths’ commitment to its four key priorities is communicated to its customers. Products are shown to be not only well-made and well-priced, but made to the highest standards of safety , durability and quality. Food products are not merely innovative, but responsibly and locally sourced and are the best quality available. 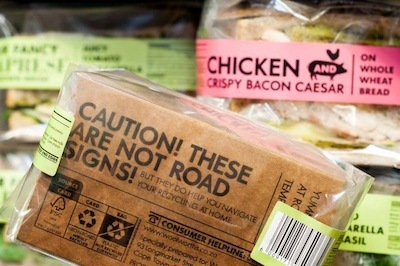 Free range and organic food, independently audited and certified, are hallmarks of the brand. And Woolworths packaging is part of the message – all packaging tells consumers everything they need to know about what they’re eating. Overall, Woolworths considers the Good Business Journey as a key to enhancing the brand while being cognizant of the impacts its business has on society and the environment. Woolworths believes that their focus on social and environmental issues can drive innovation and operational efficiencies in their business. This is what doing good while doing good business is all about – making Woolworths a truly worthy recipient of the Ubuntu Award!